Moving from the rolling hills of Dorset to the peaks of the Scottish Highlands, this is an exquisite and compelling book, written with zest, passion and deep understanding. 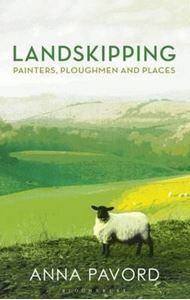 Landskipping is a ravishing celebration of landscape, its iridescent beauty and its potential to comfort, awe and mesmerise. In spirit as Romantic as rational, Anna Pavord explores the different ways in which we have, throughout the ages, responded to the land. In the eighteenth century, artists first started to paint English scenery, and the Lakes, as well as Snowdon, began to attract a new kind of visitor, the landscape tourist. Early travel guides sought to capture the beauty and inspiration of waterfall, lake and fell. Sublime! Picturesque! they said, as they laid down rules for correctly appreciating a view. While painters painted and writers wrote, an entirely different band of men, the agricultural improvers, also travelled the land, and published a series of remarkable commentaries on the state of agricultural England. They looked at the land in terms of its usefulness as well as its beauty, and, using their reports, Anna Pavord explores the many different ways that land was managed and farmed, showing that what is universal is a place's capacity to frame and define our experience. A hunt for the world's most elusive bees leads Dave Goulson from the Salisbury plains to the Sussex hedgerows, from Poland to Patagonia.